Installed in Apple Grove, Rosenthal Library at Queens College, Flushing, New York. 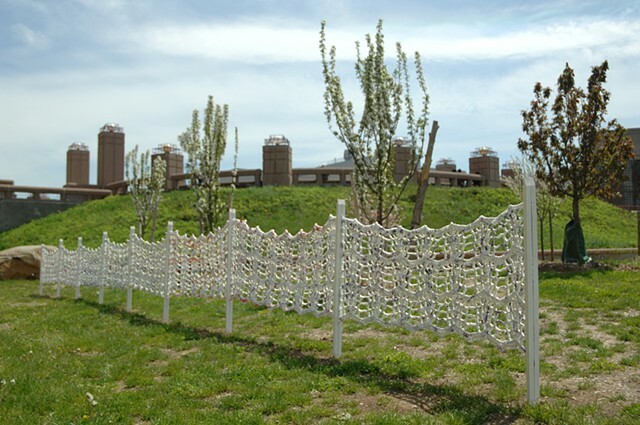 White Fence was made when the apple trees had just been planted, inspiring maternal and protective feelings. I made White Fence a combination baby blanket and picket fence.